Architecture is a complex process that is integrated with massive amounts of information requiring coordination between many parties. We use software specifically developed for this type of information management (BIM), but what’s so interesting is all this information is imbedded in a digital 3D model. We are constantly finding new ways to use and extract this information throughout the design process. The current hot trend in design visualizations is the integration of virtual reality (VR) rendering into the Revit (BIM) workflow. 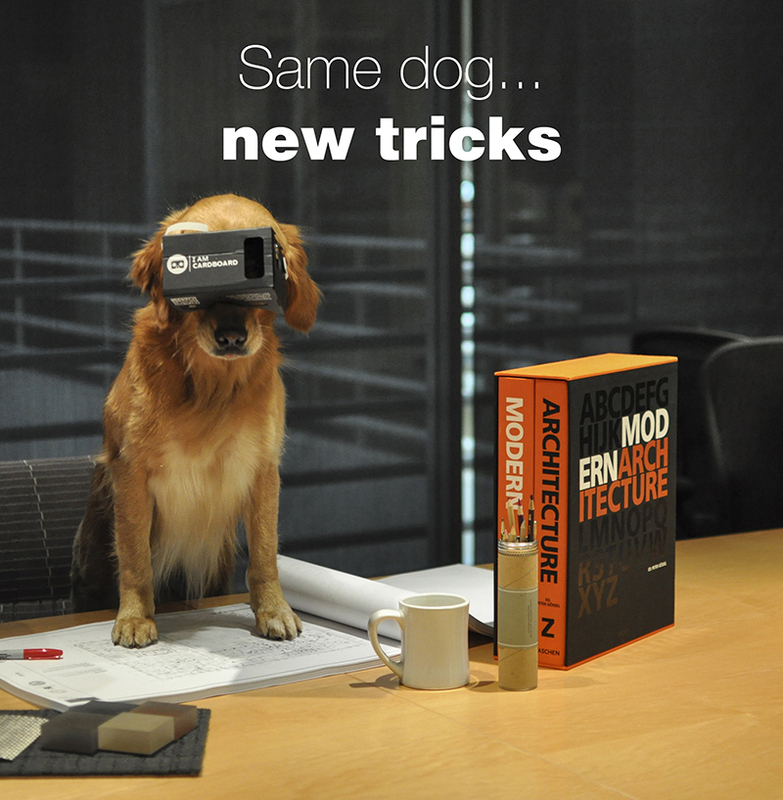 I’ve had a lot of fun sharing this new type of presentation with clients, staff, friends – even Angel our office dog tried it out using Google Cardboard. After showing my 9-year old son this cool technology, which literally puts the viewer in the space, I realized it’s already out of date when he said, “Dad, all you can do is look around.” It hit me that the future is here. His generation will be expecting software that enables true interactive immersion. What if we, as architects, can design workflows that allow the user to interact with a space while it’s still in development – much the same way we build physical models to critique and explore ideas? A physical model has always been an easier tool for sharing ideas than technical drawings. A model isn’t static – you can pick it up, rotate it, move around it, and feel what the idea is in a physical solution. Models are the universal language of design and they help us understand the concept of three-dimensional problem solving. In the digital landscape it’s quickly changing how we share ideas with each other and our clients. TLCD’s culture is very supportive of testing new software. If you follow trends in new techniques of rendering and architectural visualizations, you may have seen some examples of interactive environments taking off recently. There are many resources for starting this workflow and one that we’ve been testing recently is Unreal Engine 4. We took this software for a test drive and modeled our new office space. Rather than strapping on VR goggles, our staff can walk through our new office and experience it from the comfort of their own computer monitor (view video above). On the more technical side, how does this type of software change our current workflow? For a current static rendering like the one shown in the first part of the video, we can prime a digital model for rendering pretty quickly. Using the power of our render farm, we usually run 80 cores (CPU’s) resulting in one render after a few hours. Not too bad considering we used to wait days for the same output only a few years ago. Now if you want video, you are looking at a lot of time and resources to develop an in-house animation that is usually under a minute in length. At the end of multiple days of work you have an amazing video to share with clients and others (and everyone loves movies, right?) That thirty-second video loses its sparkle when you realize that you need to change something in the design as a result of meeting comments. Usually you can’t re-render a whole walkthrough because of tight schedules – but what if you could? What if it was just a part of the standard workflow and you could render the space and were allowed to change views or make a movie within minutes? Why not turn the scripted walkthrough into a “game” and let someone else walk around and experience it in real time! This is the direction we are headed at TLCD… and virtual reality is just fuel to the fire. 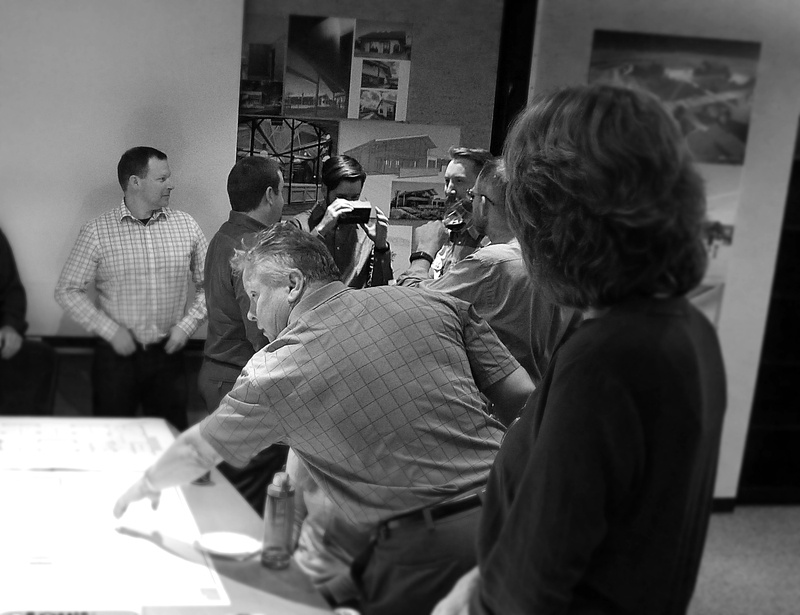 Integrating the visual experience with a physical/digital experience is so exciting to us as architects because we are integrating it into our early designs as a linkable workflow. Immersing yourself deeper into an environment is an architectural experience beyond the average visual. Learning to craft a visualization to create an interactive experience is the new art of rendering. Video game developers have been doing this for years and the most current digital environments are so immersive it almost feels real. This way of sharing a design brings in thoughts of simple actions infused with realism – like adding sounds of the city when you open a door. We see so many possibilities for this in the near future. Imagine an environment that allows end users to experience the space and use it as a learning tool with interactive virtual diagrams. Our goal is to integrate this software into our designs to create new modes of integrated thinking for clients who are looking for innovation and value for their project. At the moment, we are only designing buildings, but soon we might be creating worlds! This is too much fun to be had all alone, come join us! 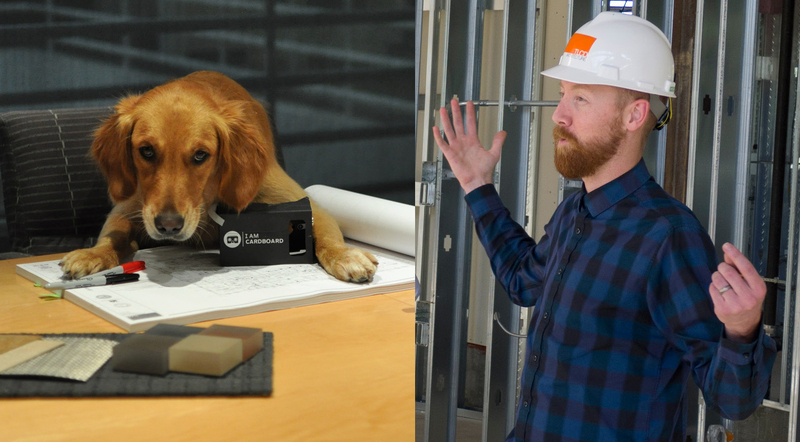 No animals… or architects were harmed in the making of this blog post. Most days Angel can be found at our office brightening people’s days while stopping by their desk for a treat or pat on the head. Nick can be found any number of places…job sites, his work station, client meetings, or low crawling to sneak up on his unsuspecting coworkers! What a great name for an event! When I saw the flier float around our office I immediatly grabbed it and knew I would have to roll. TLCD Architecture and many others were invited to join the annual ride to a nearby town of Sebastopol for a destination of good conversations, food and the celebration of bikes..and Beer. 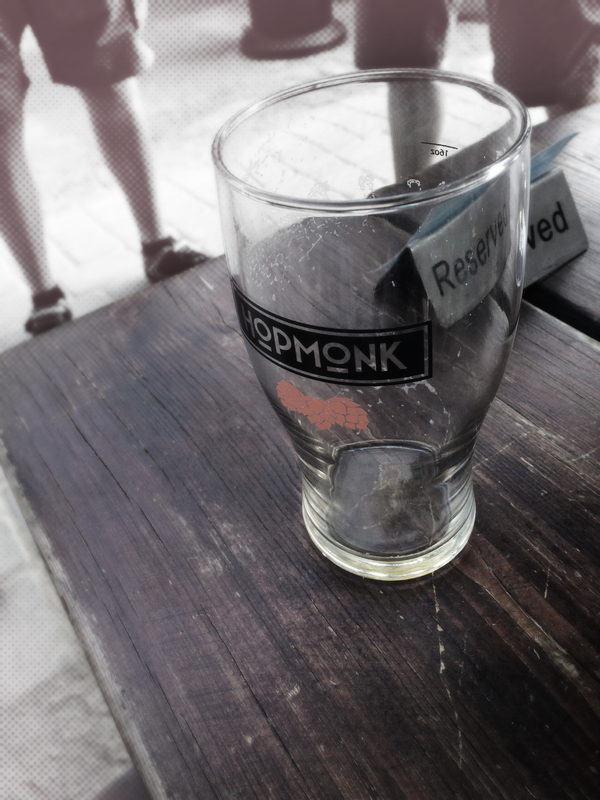 Personally I’d never been to “Hopmonk”, but what a cool venue. 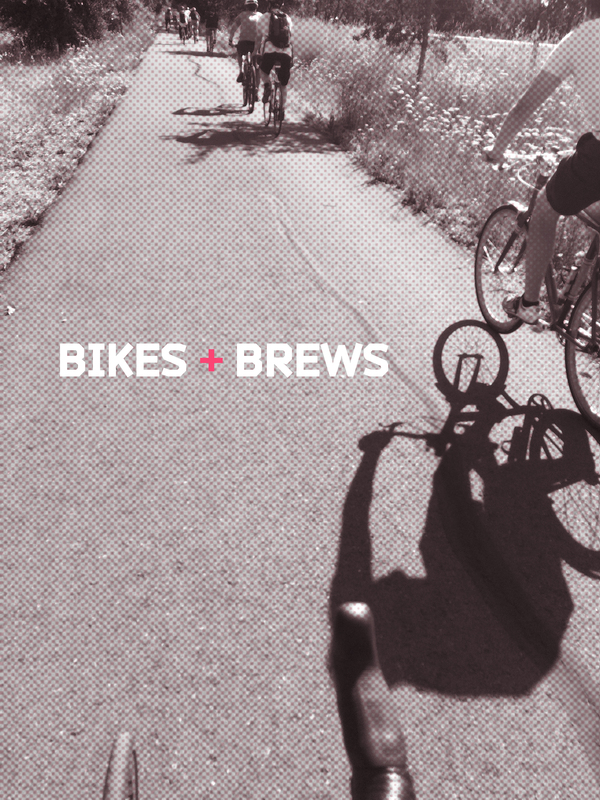 We were greeted with ample bike parking for the whole group and a nice laid back outdoor seating area with a great draft list with many local micro’s. Fellow riders from ZFA and I were grubbing down on pulled pork sandwiches and the favorite 4 pack taco platter…amazing! According to local lore they have music there pretty regularly and I could see it being a pretty fun time. Living in Sonoma County (one of the worlds greatest bike and beer destinations) this local gathering was a great reminder of how lucky I am to get to enjoy this place from the speed and freedom of a bike. On the trip back to Santa Rosa, the ZFA crew kicked it into hyper speed as TLCD tried to keep up with the sprint… https://www.strava.com/segments/10029921/embed Not realizing I was riding with world class riders I now know that I will have to train for next year’s event, and hopefully grab a few notches higher on the list of riders. I will definitely be looking forward to next year’s ride, and thank you ZFA engineering for getting everyone together to enjoy our amazing place to live and work. Get ready World….you’re about to change. Recently, Carl, Phil and I watched a webinar about cloud rendering in Revit. I had seen this process emerge some months back and Carl and I briefly took a look at it. However, we quickly discovered a major drawback of not being able to use custom textures in the cloud. Out of the box texture mapping usually results in less than adequate representation of your design. Well guess what… you now can incorporate as many custom textures and material assets as you’d like! Revit has been one of the slowest rendering engines out there, but I’ve always been impressed with its capabilities when it came to doing interior rendering for a native program. Time is a major factor in our business, and slow is a “no go”. A 12-20 hour rendering is not an uncommon thing with geometry heavy models, even with a render farm. Now with cloud rendering, we can send multiple views and let the magic and speed of the cloud to do its thing, while we keep working. An important thing to note is that renderings are vital for developing and sharing designs. Architects want to get their clients “into” the design, and a rendering can be great at starting to describe the space. Here’s the cool part, with Autodesk’s Cloud Rendering we are able to literally put the viewer in the space. It’s called stereo panorama (more about it here) and it’s transforming the way we use Revit with new levels of workflow for developing and sharing designs on the fly, not only with clients, but with each other. I decided to give it a go and developed several views of 3d panoramas of a current office interior design. I had less than 6 hours for developing the scene materials, lighting and final render time, and little room for production time. I was able to fire off multiple draft renders during the process and keep working the scene similar to our backburner setup for 3dsmax. This was during normal work hours though so backburner was unavailable. Normally this type of work would have been rendered over a weekend but that was not the goal of the exercise. Once I had the developed views uploaded in the cloud, I had Autodesk sprinkle some magic over the top of them. 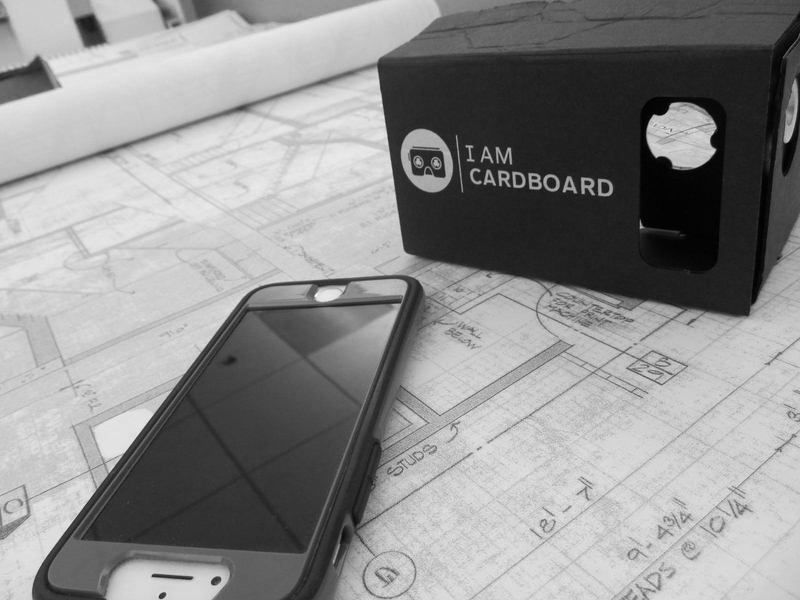 Here’s where we take it up a few more notches, by pairing Cloud Rendering with a couple of iphones and pieces of cardboard, suddenly we were immersing the whole office into the design. You can stand and look all the way around you, with total freedom – and with your body rather than a computer mouse. Amazing! “Holy %&$#” was the phrase we heard from most of the office as first time viewers stood up to put on the goggles. It’s an amazing experience to witness the effect of going from sharing a 2D floor plan to actually putting people in the space. We are very excited for this new design horizon and you can bet TLCD Architecture is going to keep pushing it’s abilities and usability. We look forward to what Autodesk might throw our way in the near future…3D walkthroughs maybe? Who knows, but TLCD is ready and excited for what might be brewing. We started the surface refinishing of our new office! As usual photos don’t do it justice. I did manage to sneak in during their lunch hour and take a peek at the transformation in its early stages. The concrete is taking on a satin feel which is truly remarkable to experience. 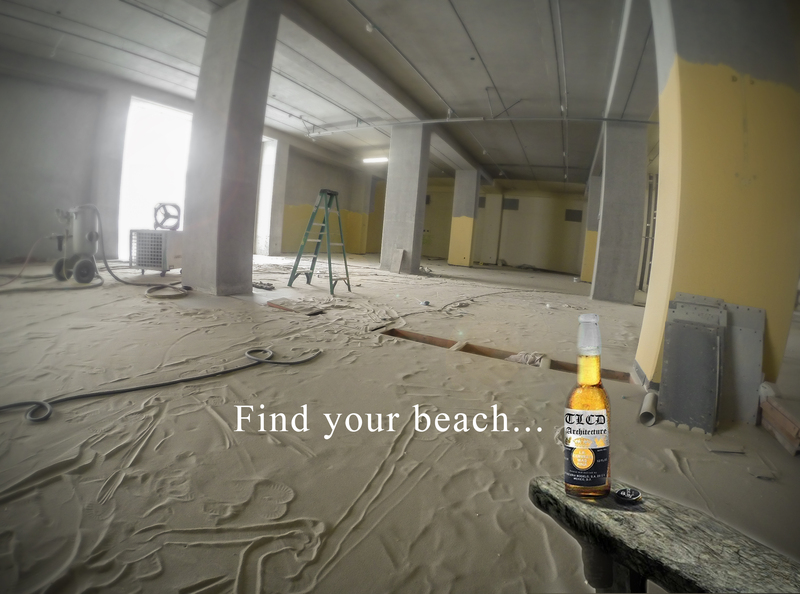 I wish all concrete could be like this… Oh and another bonus, having an indoor beach is be pretty cool for office parties too. Wondering how that giant opening got in this solid concrete box? This was the perfect project to take a test drive of Autodesk’s Dynamo for Revit and see what we could do. Dynamo is a new, exciting, visual programming software that is similar to Grasshopper for Rhino. We are actively beginning our exploration into computational design, and have already begun to see its benefits as we integrate Dynamo into TLCD’s BIM design process. In this quick exercise we were able to quickly develop eight different iterations from our design. Don’t miss the video and take a peek of us creating an addicting, generative design solution to share and discuss with the entire office and friends!